This multi-part article, with original artwork by Mar, is a follow-up to a one hour panel discussion at DEF CON 19 titled "'Whoever Fights Monsters...' Confronting Aaron Barr, Anonymous and Ourselves" moderated by Paul Roberts, discussed by Josh Corman, Brian Martin and Scot Terban. The views of the authors are not meant to be a criticism of Anonymous, nor are they meant to be encouragement for future criminal activity. It is an inevitable fact that Anonymous, or similar groups, will become bigger, stronger, and more effective. Discussions on how to build a more potent digital hacktivism (illegal hacking to achieve a political goal) group have occurred for over a decade. This article will not attempt to introduce groundbreaking new ideas, but rather will summarize many existing ideas and subject them to analysis from two security practitioners on two sides of this issue. If anything, this will serve more as a 'Lessons Learned' with the aim of broadening the reader's understanding of the topic, while demonstrating that the "problem" is not going away; the "problem" is evolving and growing. When we say "building a better Anonymous", we seek to explore the ideas of making such a group truly better. That means better for all parties involved; the group, end users, citizens and law enforcement. "Better" does not mean more criminal acts in the name of the greater good, it means a more efficient organization that can achieve the same results with less collateral damage. We envision a group with better defined goals, more accountability, a healthy dose of humor and the legendary resolve of the sabertooth squirrel. Of course, the chaotic nature of a group such as Anonymous means that any hopes of improvement will likely come in the form of small numbers of members guiding the rest toward these goals. A brief introduction to this article series and Anonymous. 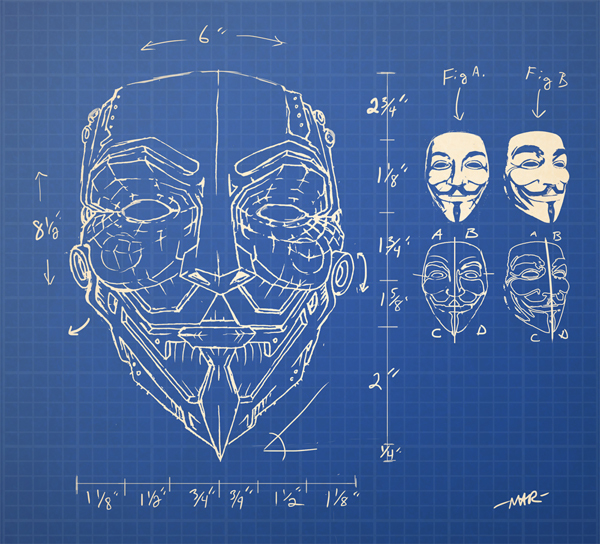 Figuring out the fact versus fiction of Anonymous. How the media and professionals got it wrong. Anonymous, as they are today, and various shortcomings. A different framework and philosophy. Detailed improvement ideas for Anonymous, or the next group like them. Other considerations relevant to this topic. What have we learned, and what we hoped to teach. Copyright 2011-2012 by Josh Corman and Brian Martin. Permission is granted to quote, reprint or redistribute provided the text is not altered, appropriate credit is given and a link to the original copy is included. Custom graphic courtesy of Mar - sudux.com. Should you feel generous, please donate a couple of bucks on our behalf to any 501(c)(3) non-profit that benefits animals or computer security.